Compromised animal welfare is at the core of all hoarding cases. Sometimes the suffering is obvious to a lay onlooker (starving or dead animals, untreated wounds, obvious infectious diseases), and other times it may be less obvious although no less important. Lack of opportunities for socialization; inability to avoid or retreat from other animals who pose a threat; confinement for excessive periods or in extremely restricted space such as small kennels or crates; inability to maintain normal postural adjustment (stretch out fully, stand upright without any body part touching walls or ceilings); uncomfortable surroundings due to filth, dampness, heat, cold, hardness; extreme boredom; and unnatural light cycles (excessive darkness or constant light) are all factors that individually can cause stress. When present collectively, the cumulative effect of these various stressors can cause considerable mental and physical distress. Although all of these issues can be present when individual pets are kept, they are much more of an issue when caring for populations because their effects are considerably magnified - hoarding is a situation where the whole can be considerably greater than the sum of its parts. Failure to provide proper care to one animal inevitably affects the rest, sometimes in a very serious way, such as when it promotes spread of an infectious disease. The detrimental effects of crowding require a population of animals in order to be observed. Infectious diseases gain a foothold when there is an inadequate preventive health care program. Stress from crowding, poor nutrition, untreated medical conditions, and confinement decreases resistance to disease, and crowding and lack of sanitation facilitate a disease's spread. 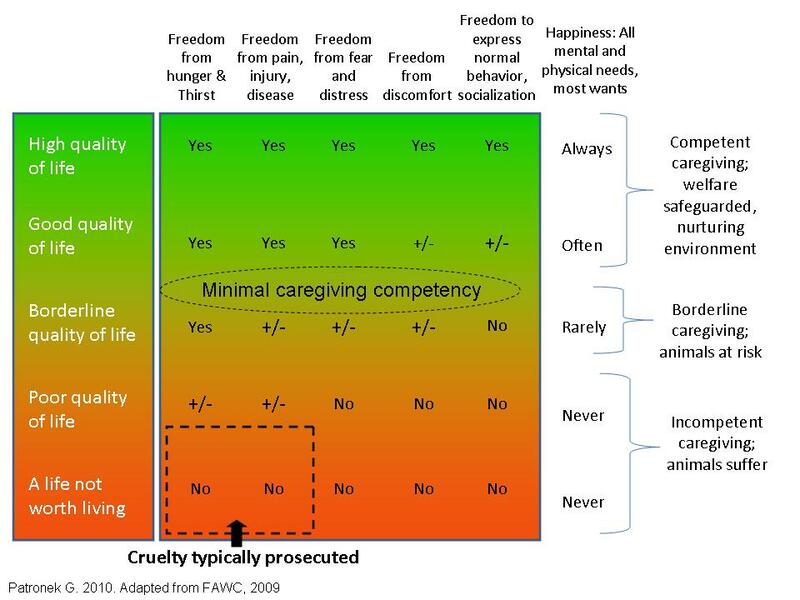 The larger the population of animals being cared for, the more precise the caregiving must be in order to maintain health and prevent unnecessary suffering, as prohibited in state cruelty statutes. 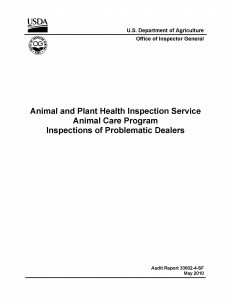 The National Animal Control Association and the Humane Society of the United States have suggested staffing guidelines of ten to 15 minutes per animal in order to provide minimal levels of care for each animal each day. Minimal care includes feeding, cleaning, and having sufficient time to observe each animal long enough to detect if problems in health or welfare requiring attention are present. 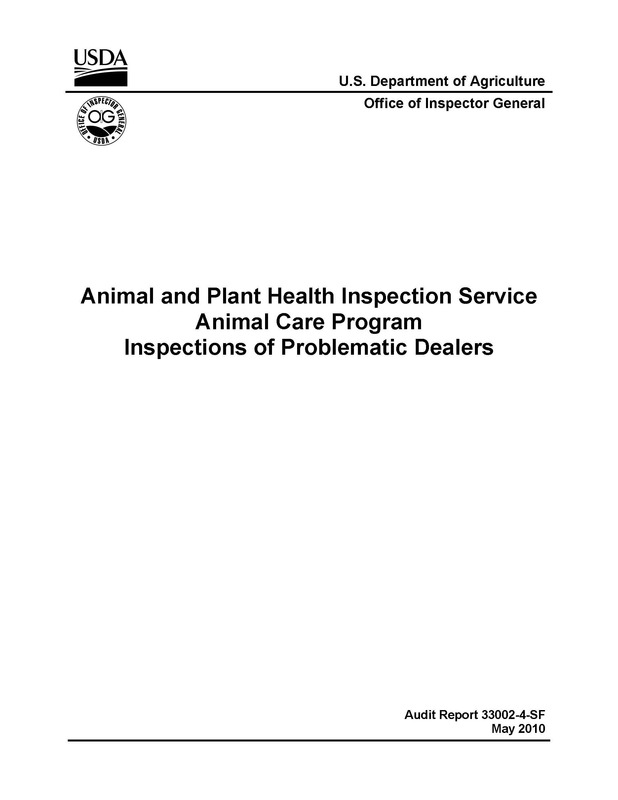 This minimum time does not provide time for enrichment, adoption, new intakes, exercise, spay-neuter, veterinary care or any other factors required to ensure good welfare or other factors related to the operation of a functional animal care organization (including facility maintenance, record keeping, purchasing, networking with other animal organizations, community relations and continuing education). For dogs and cats, these guidelines would suggest that eight hours of staff time (paid or volunteer) be available for each 30 to 40 animals present as an absolute minimum, on average. If most of the animals are healthy nursing kittens sharing cages with their mothers, or sick/special-needs animals requiring extra care, the number could be somewhat lesser or greater than these averages. Falling far below the minimum staffing on a regular basis is a warning sign that capacity to provide care is exceeded. 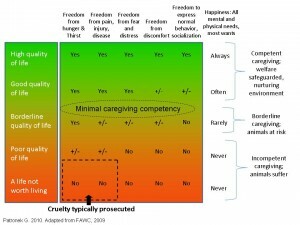 Animals have similar needs, regardless of the definition used by their caregiver. These needs can be best understood by considering a set of guidelines known as "The Five Freedoms". Originally developed nearly half a century ago in the United Kingdom for farm animals, they are now being used to guide care and husbandry of companion animals, particularly in population-based settings. In 2010, the Association of Shelter Veterinarians completed a document establishing guidelines for standards of care for companion animals, using the Five Freedoms as a guide. Currently being released in a second edition is a textbook in shelter medicine, by Dr. Lila Miller and Dr. Steve Zawistowski, which also deals with many of these issues.